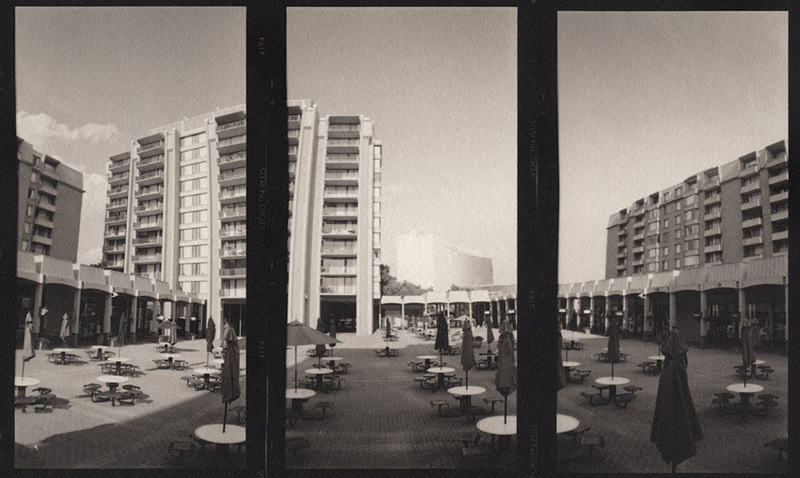 Fun with Triptychs – revisited, this time with prints! 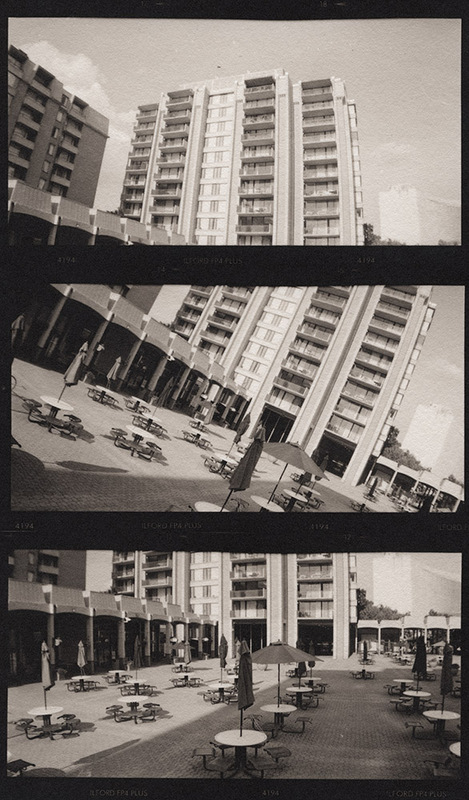 You may recall I recently posted some triptychs I did with my Lomo Belair X/6-12. I had been postponing printing them because I was A: being lazy, and B: I knew that they would be challenging to print because 1: lining up two negatives is hard enough, but getting three is even harder, and these are three pieces of roll film which doesn’t want to lay flat, and 2: I was concerned that there would be too much space between the frames because of the size of the image area vis-a-vis the negative size. Inertia being the greatest of obstacles, it took me until now to get around to printing them. The challenges of registering the negatives to map my coating area, then re-registering them so they would align properly when exposing were substantial, but not as bad as I thought they would be. I guess there was enough humidity in the room that they cooperated for the most part and didn’t act as dust magnets or tensioned leaf springs while trying to place the cover glass in the contact frame. I think of this first one as a panorama of panoramas – it’s a horizontal panorama in the end, made of three vertical panorama shots. It’s the more conventional of the two in that it shows a fairly straightforward interpretation of the scene. The vertical triptych I got a bit more creative in my interpretation, showing the middle frame askew, and each frame is not discreet in what it depicts – if you look carefully, they overlap in their subject matter, and you could almost do the top and bottom frames as a square-isn diptych. Both images were printed on #Hahnemuhle #PlatinumRag in pure #palladium. No contrast agent was used, and they were developed in #PotassiumOxalate.